The universe is a subject to scientific interest. The description in my profile is something I do not know if you have seen before. before can be shortened to b4, and i have seen your profile description recently, it is very unique! 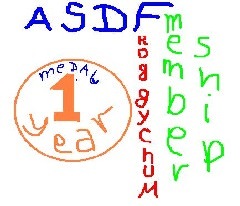 Unique forum, in a positive sense, is a phrase, describing my opinion on ASDF, that is why I have revealed such facts about me in my profile, also, thank you! Penguins are sometimes considered cute, but I prefer elephants, lions and tigers because I like hotness. hotness is a value of how hot someone or something is. I love elephants because they are majestic in their own way, and also very, very smart! Smart is a word to describe us for sure! surely, you enjoy milk? If you do not that is fine, but I enjoy it immensely! Immensely big area of the Earth surface is covered by water. water flows. will you answer my question with your next post? The post where I will answer you is this one - I enjoy chocolate, so I can enjoy milk only if it is mixed with some chocolate. Too much time and power are needed to climb a tower. Booming sounds make some people have fun. Minutes consist of seconds and compose hours. Hours ago, I was sitting where I'm sitting now.